Eligibility Center - The website to register and become certified with the NCAA. 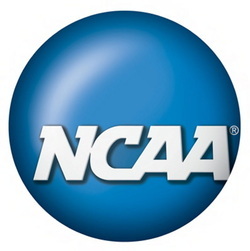 Play College Sports - An overview of the NCAA and participating in competitive athletics in college. College Bound Student-Athlete - A comprehensive guide to the NCAA and the process to become certified. Division I and Division II Academic Requirements - Division I and II requirements Academic Requirements. Students with Education Impacting Disabilities - Frequently asked questions for students with education impacting disabilities. NCAA Planning Sheet - Planning sheet created by your TOHS counselors to help keep track of your TOHS classes and plan for Division I eligibility. In order to find out the NCAA approved coursework for Thousand Oaks High School, please click here to access the NCAA high school portal. Wondering what schools are Division I, Division II, or Division III? Click here for a searchable database.